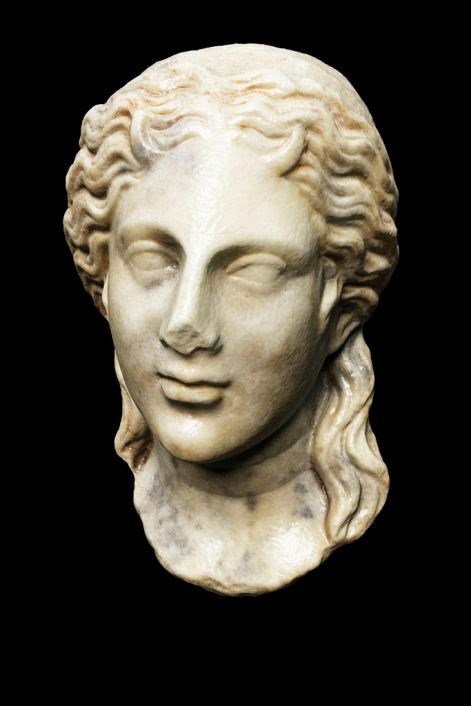 Arsinoe IV was the fourth of six children and the youngest daughter of Ptolemy XII Auletes, and queen and co-ruler of Egypt with Ptolemy XIII from 48 BC – 47 BC, making her one of the last members of the Ptolemaic dynasty of ancient Egypt. Arsinoë IV was the half-sister of Cleopatra VII and also a sibling of Ptolemy XIII. Following the turmoil created by the civil war of her brother Ptolemy XIII and sister Cleopatra VII, Arsinoe proclaimed herself queen and resisted the Roman forces led by Juliue Caesar who had joined forces with Cleopatra. Although arguably more successful than her brother, Arsinoe IV was betrayed by her generals and traded for the captured Ptolemy XIII in 47 BC. Captive, Arsinoë was transported to Rome, where in 46 BC she was forced to appear in Caesar's triumph and was paraded behind a burning effigy of the Lighthouse of Alexandria, which had been the scene of her victory over him. In 41 BC, at Cleopatra's instigation, Mark Antony ordered Arsinoë's execution on the steps of the temple of Artmeis in Ephesus, where she had been granted sanctuary. Her murder was a gross violation of the temple sanctuary and an act which scandalised Rome.